Delegating chores to every member of the household is one way of making the cleaning and organizing tasks at home fair and square. 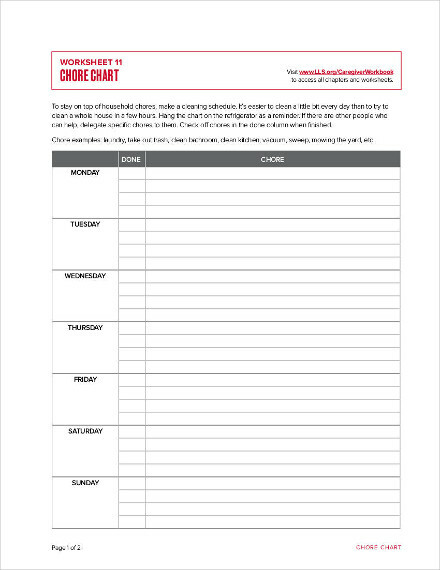 If you want an organized way of delegating chores at home, consider using a chore chart. Everybody seems to like a clean and organized living space; however, only a few would want to do the actual cleaning and organizing. Sure, there are some individuals who would love to clean but they can’t be the ones who are to keep on cleaning a shared space, right? 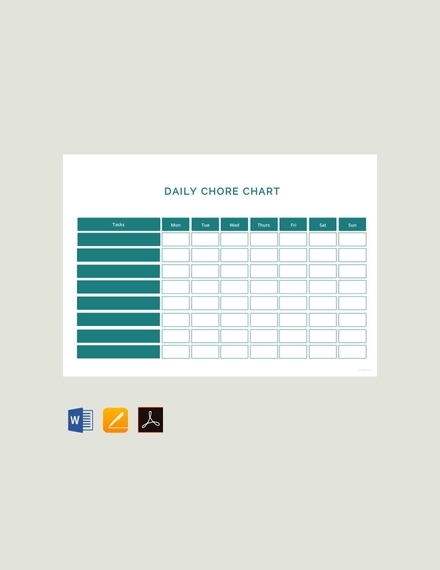 With the help of chore charts, you will be able to effortlessly do so. 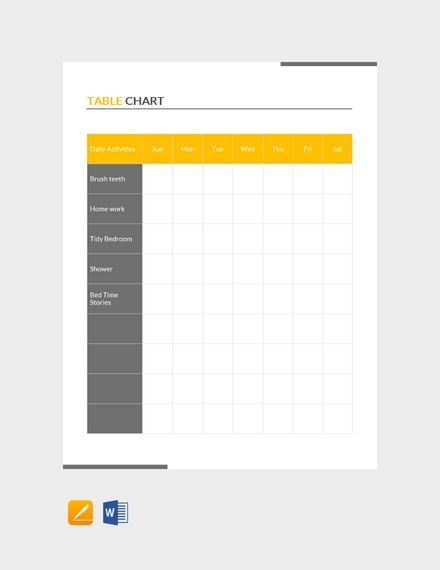 If you are to create a chore chart for the first time, make sure you will be able to include the following basic elements of a chore chart. 1. List of chores and the person assigned to fulfill it: This is the most important element of your chore chart as these are the list of the tasks that would fulfill the purpose of your chore chart as well as the names of persons who are assigned to fulfill specific cleaning tasks. When delegating tasks to the members of the household, make sure that his or her capabilities can match the said task. 2. 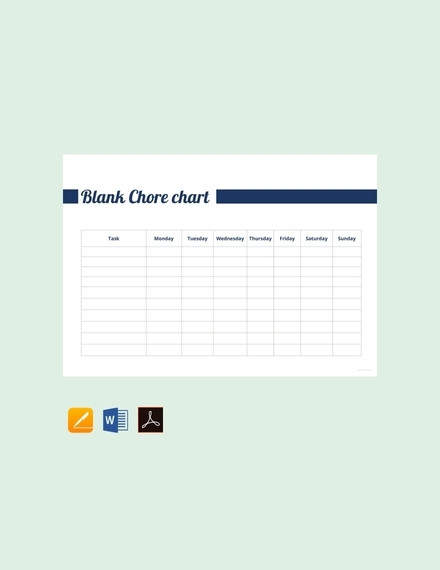 Days of assignment: Since a chore chart is not to be modified on a regular basis, instead of putting specific dates of when a cleaning task should be done, you should assign it per day instead. 3. Dependencies: There are some chores on your list that are co-related or dependent with each other and should come hand in hand. It is suggested that you are to assign the same person for each of the co-related chores. So if one member of the family is assigned to sweep the floor, he or she should also be the one to be assigned on mopping the floor. But in instances wherein two different people are assigned to fulfill two co-related tasks, the first one should ensure that he or she will be able to accomplish his or her task first so that it would not create a bad chain reaction or a domino effect that would result to the failure of fulfilling the rest of the co-related tasks under it. The challenge does not lie in the execution of the chores but it is in its delegation. It can be quite hard to delegate tasks especially if you are living with people who have a lot of excuses as to why they do not fulfill their tasks at all. With that, here are some ways on how delegate tasks among the members of your family or among your roommates. 1. Assign the right chores to the right people: How can a person fulfill a task assigned to him or her if he or she could not even handle it alone? Make sure that you will assign somebody to ask that he or she is capable of. This does not necessarily mean whether the individual knows how to execute the task or not as there are some who would claim they know nothing. 2. Give allowances when setting expectations: Admit it; not all people can clean with a sparkly finish. This is why, when delegating certain tasks to people who rarely deep cleans, do not set high expectations for them and learn to give some allowances. If you are to delegate tasks to a child, for example, you cannot expect results like what an adult could do because they are still young and may have a lot to learn, yet. But this does not mean you could not assign them tasks—you can still do so but guide them until they will eventually master it on their own. 3. Set an example yourself: You cannot just expect people to follow you when you are doing the wrong and opposite ways. By setting an example, you will inspire other people to follow your lead. You cannot expect people to be heeding what you have written on a chore chart when you yourself are being a couch potato. If you are fair and square with the rest of your family members or roommates and that you would do your assigned tasks, they will definitely respect and look up to you. 4. 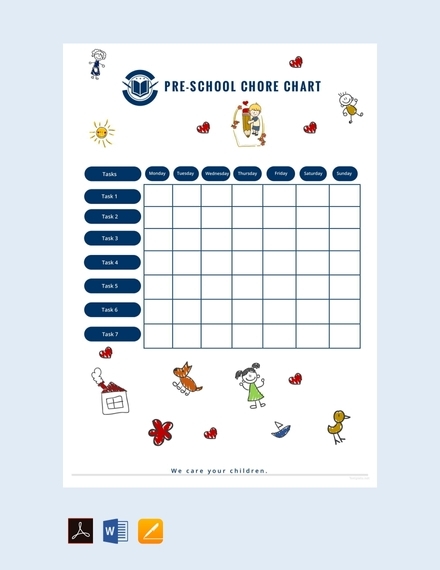 Involve people in the making of the chore chart: You have to make it a point that you will be able to involve the people who were involved in the execution of what you are going to write on the chore chart. 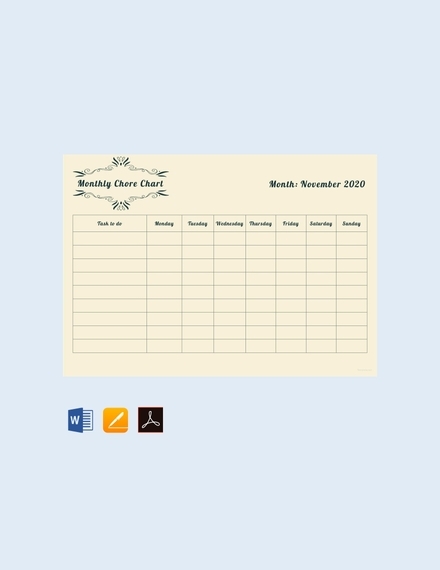 It is in involving your family members or your roommates that you will be able to get some new insights on how you are to organize your chore chart. Remember: two or more brains are better than one. Additionally, when you involve the people you are to delegate tasks to, they will feel ownership and accountability toward the tasks that were assigned to them since they had contributions in its creation and also made decisions for it. 5. Consider rewarding people for their efforts: Reward system is the best way to make people feel motivated in fulfilling a task that they would usually dread. There are various ways on how you reward a person for a fulfilling a task. If you are a parent, you can give them monetary or material rewards and even an extra hour of gaming will be convincing enough. 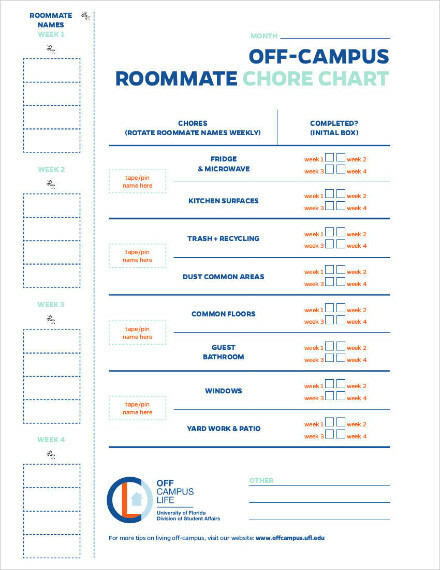 If you are making a chore chart for you and your roommates, the kinds of reward you can give are giving them a day where they can just lie in their beds and do nothing, treat with a meal or a drink, or allow his or her friends to come over after doing his or her part in cleaning the space that you both share. 6. Make your chore charts visible anytime: Out of sight, out of mind—this proverb holds so much truth when it comes to chore delegations. 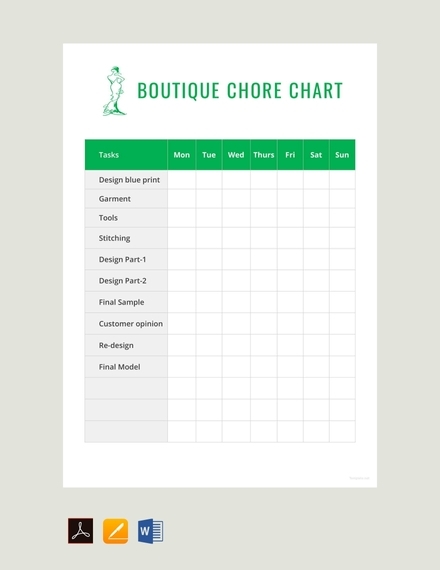 If the chore chart you made is not displayed visibly by the people that are involved in it, they will most likely forget about it or will have an alibi that he or she has forgotten about. 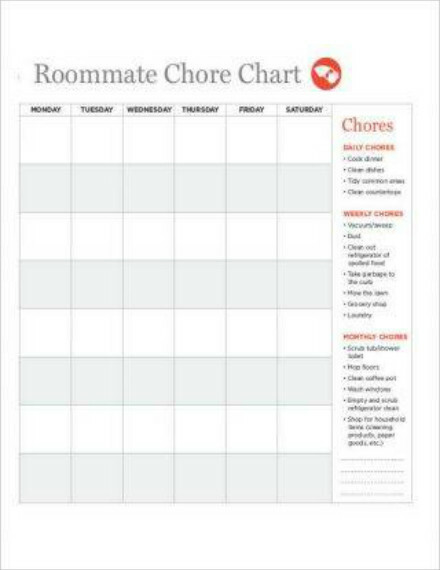 By making your chore charts visible at all times, your co-dwellers will no longer have any alibis as to why they will not be able to fulfill their assigned tasks. 7. If there are rewards, you must also include consequences: If rewards are given when the job gets fulfilled, there should also be consequences in the event that the assigned tasks have not been done or have been done poorly by the person assigned to do it. There’s no need for consequences to be too harsh to the point that it’s inhumane—just make sure that it will be enough for them to handle but enough for them to learn from. Consequences are important so that people will not disrespect you, treat your chore chart as an optional thing to heed to, and take it for granted. Setting consequences will also make them feel like they are accountable for every task they do and for every task that they fail to do. 8. Find a way to insert the fun! 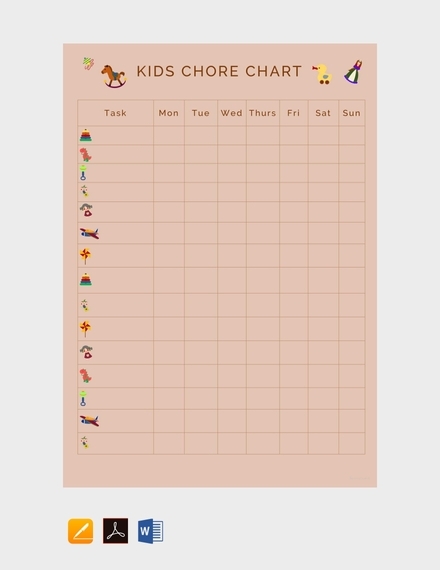 : An effective chore chart is something that would make the people enjoy doing what they don’t really like doing. 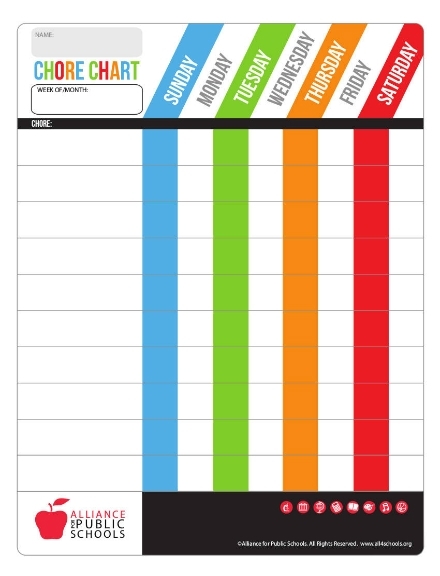 You have to make it a point that you will be able to insert the fun within your chore chart. You can even insert fun even with the chores itself. There are some chores that are best done with a group such as a group laundry hour with your roommates or cooking with your siblings and parents. Such chores can be done worthwhile when you insert fun somewhere in between. 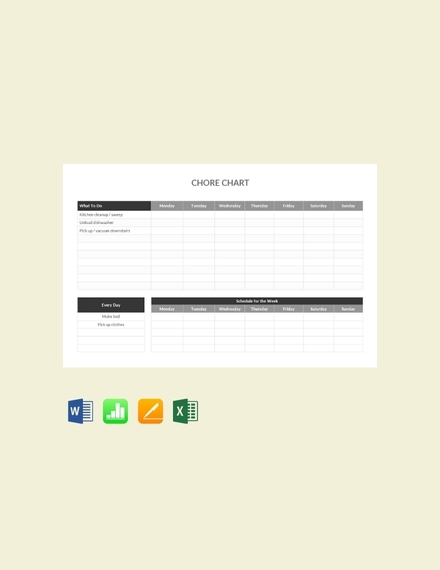 Here are some tips you can follow in order to gain new ideas and concepts on how you can present your chore chart and make it more visibly seen and visually appealing. Following these simple tips can make the proverb “out of sight, out of mind” problem not anymore a problem. 1. Consider the use of whiteboards: If you are to write the chore chart on a whiteboard, you will have no worries since you can easily write on a whiteboard. You can also easily edit what you have written on the whiteboard in the event that there will change in the responsibilities. You can get creative when using whiteboards and use colorful whiteboard markers for easy identification of a person’s specific tasks and you can also include photos and refrigerator magnets in the tracking and designating of chores. 2. 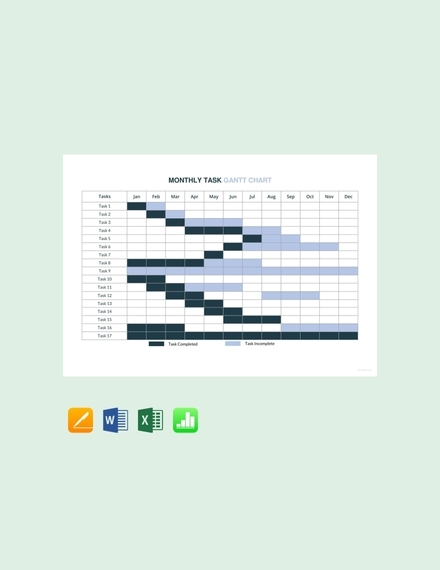 Get flexible and make use of pegboard: If you want to get even more creative in making your chore charts visible, you can make use of a pegboard where you can just hang the chore chart for everyone to see. You can even print headers, list of chores, and the designated person and cut these into strips. Hang these strips on the pegboard and create a whole big chore chart where one can easily mark a task done by putting away the strip of paper under his or her name on the pegboard. 3. Get an advantage with the use of mobile applications: Another way of making a chore chart visibly seen is to have it link to technology. Most people are always on their phones. Take advantage of this and have them download mobile application where they can view their chores for the day. What’s more, some of these applications can set a reminder for them when it is already time for them to deal with their designated tasks. 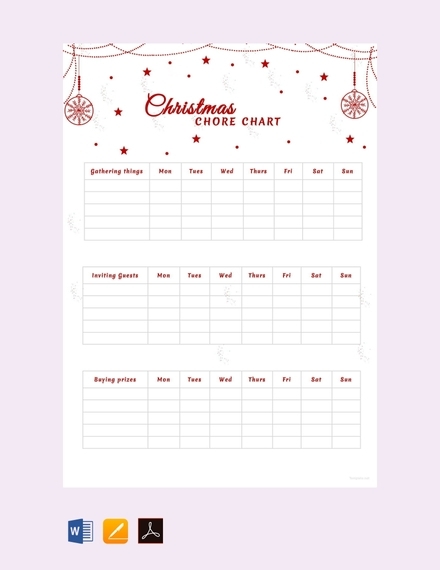 We hope that the chore chart templates and examples that we have collected and compiled here in this article have helped you maintain the cleanliness of your living space.